Well, it’s another W – how do they manage to come around so quickly? Lots of summer colds round mine this week – knock wood, all but ME at the moment but that is usually how it goes. I stay well just long enough to take care of the rest of them, fetching drinks and cool cloths and making Lem-Sip and then get sick just when they are all better and getting on with life LOL! I’m just hoping Blogger is over it’s problems from last week so that I can tuck DS up in bed and blog hop the day away. 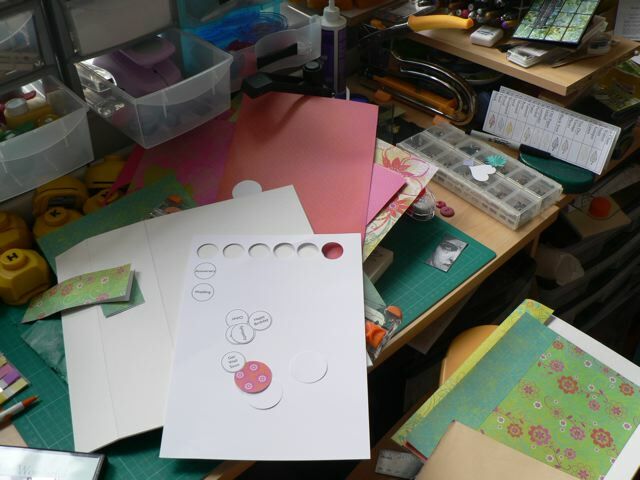 Not very exciting this week, although I think it will be when it’s done – after my cardmaking blitz last week I decided I needed a card organizer. I looked at quite a few on t’internet, some really nice ones, then went my own way. With luck I’ll finish it soonish and can share it then! I picked up this paper pack in the USA and while I love it, the papers are a bit on the thin side so they are perfect for the way I am doing the organizer. The image is for the 5×7 pack although wha I have is the 12 x 12!